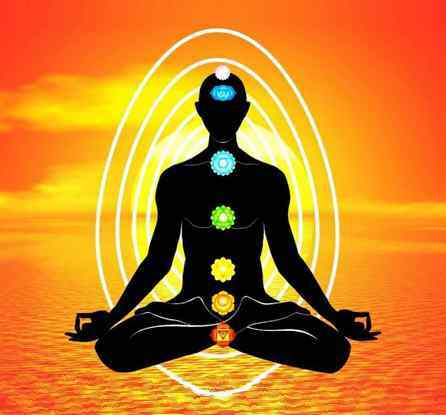 Meditation-Futureguide Astrology Readings Thane India|Tarot,Feng-Shui,Gem-Stones,Numerology,Mobile Numerology Thane|Pendulum Dousing Thane,Pyramids,Meditation,Chakras Healing Thane Mumbai. Meditation is the awareness of inner body. When we are aware of our inner body, the aliveness feeling arises that is the intrinsic part of the joy of being. Meditation is very simple. It doesn't require years and years of study and practice. In fact, it can be learned within a few minutes. Meditation is the key to the inner world. Meditation is of value if we maintain a stage of peace and relaxation in our day to day activates. In modern society we are looking for happiness and pleasure from material, comforts and external objects. In mediation we learn how to detach the mind from its physical engagements. In this detached state, the body and brain are able to relax completely and when you relaxed you have the power to focus on your goal and reach towards them. Meditation is the mechanism for survival. Meditation is definitely a method to enable us to survive in today's world. It is very easy to shrug the shoulders and say, "Look, I am very busy. What can I do?" But when I recognize that it is essential, I will make a space for it. There are different types of meditations. It affects people in different ways. The one I have mentioned here is easy, if practice, can be focusing device for the mind to divert from its normal rutted stream. The practice of Raja Yoga meditation or intellectual communion with God brings into the soul many powers. Of these, eight are very important. By regular practice of rajyoga we can experience the eight powers in us.